Finally, there is a gym for gamers. And no, we're not talking about Pokemon gyms. Named the AG6 program, participants of the workout have to react to unpredictable LED light cues, which trains reflexes and muscle memory, in addition to generating short bursts of intense exercise. People can burn up to 1,000 calories in a 45-minute class. 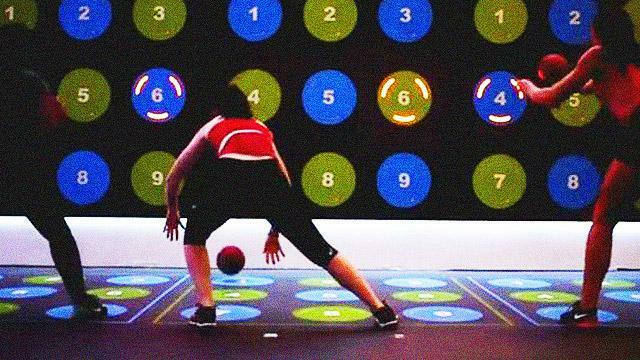 According to their website, the section just opened on April 19 and is the first workout space in North America to use the PRAMA workout system, an exercise that relies on pressure sensitive walls and floors with integrated LED light and sound. Hopefully gym owners here in the Philippines pick up on the idea as well. With the way the program works, it is bound to attract a lot of first timers to the gym who aren't interested in old-fashioned weight lifting.